Gibson and Fender are the big two American guitar manufacturers, and we almost always agree they are both wonderful. What makes it so wonderful, to me, is the way Gibson electric guitars are so very different from Fender electric guitars. Both great companies have, however, ventured into crossover style instruments where they copy some of the ideas and vibes of the other. Everyone knows Gibson excels at producing set neck solid body guitars with humbucking pickups, and Fender excels at making bolt on neck solid body guitars with single coil pickups. But neither manufacturer has any sort of exclusive rights to those design elements, and so it happens we sometimes get guitars like the Gibson Marauder. People who are into guitars have fantasies about the things. Fantasies like finding a classic guitar at a garage sale, flea market, or pawn shop where the seller thinks very little of the guitar, and you get it for a price you will tell people about for years and years. Well, the Gibson Marauder isn't going for cheap where people know about them, but it is possible someone at a fast moving garage sale thinks the Marauder some cheap toy. The Marauder doesn't really look like a Gibson, and it certainly doesn't look like any of the ones everyone knows about the most. The headstock is all wrong, and the neck is bolted to the body. Someone could think the guitar is something else, and someone forged the Gibson name on it. I'm not advocating anyone rip someone off, or deceive their way into a score, but if someone has a low opinion of a thing and has it for sale, well, you don't hurt them by taking it off their hands. The Gibson Marauder is kinda rare. We know for an absolute fact only 7,200 of them were ever created. Surely not all of those guitars exist now. Fires, floods, car wrecks and other things happen, and certainly some have passed on into trash. 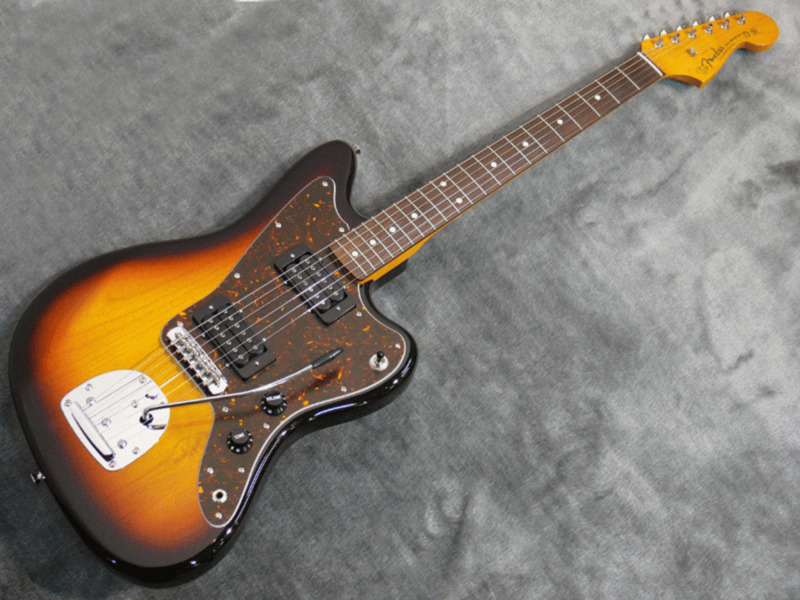 The first Marauder guitars were made in 1974, the last in 1982. Bill Lawrence went to work for Gibson in 1972, but 'Hot Bill' had been a name known to guitarists for long years. Born in Cologne, Germany as Willi Lorenz Stich, Bill was a early proponent of the electric guitar as a player, and designer of electric guitar pickups. Bill Lawrence pickups are hot commodities today, and likely will be for many years to come. The Gibson Marauder was not the first guitar which Lawrence helped design for Gibson; but the Marauder's pickups were pure Bill. 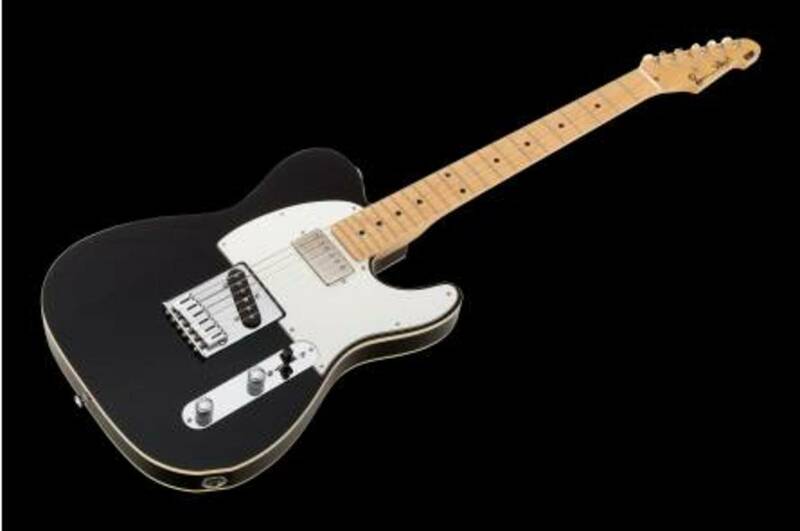 The Marauder's Lawrence pickups come much closer to approximating the sound of a Fender guitar than any others Gibson had ever had produced, and the layout and design of the Marauder seem to make the guitar something clearly meant to compete against the Fender Telecaster Deluxe. Both pickups on the Gibson Marauder were humbuckers. Yes, the slanted blade style pickup at the bridge appears to be a single coil. The bridge pickup is not a single coil pickup, it is a small humbucker. 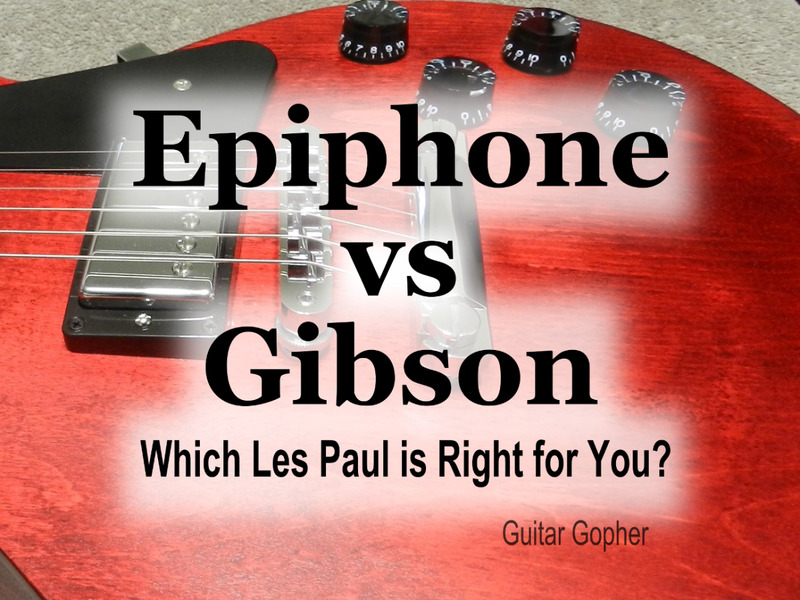 You will see conflicting statements on this, but Gibson's own website states they are both humbuckers. 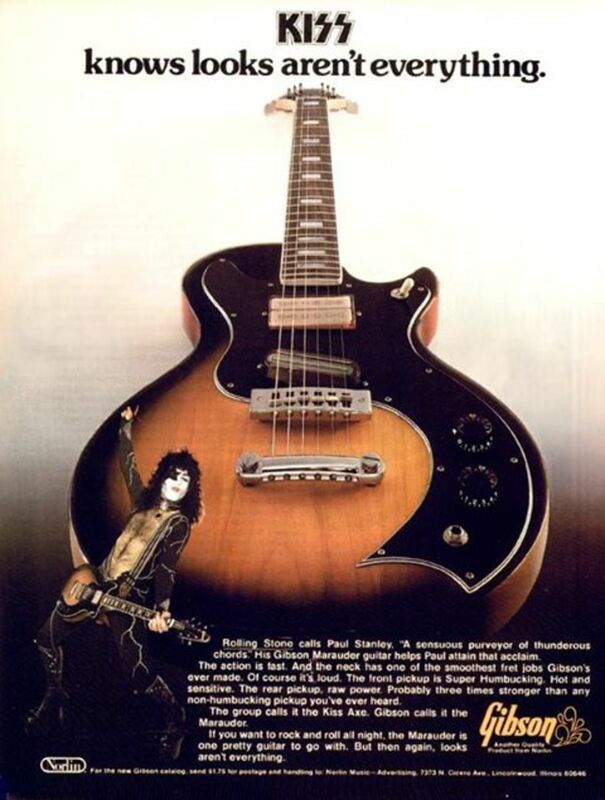 KISS was a pretty big deal when the Gibson Marauder hit the market. No, KISS wasn't a big deal musically, they were more entertainers than musicians. KISS, of course, was a costume act where there was some cheesy pop rock music included for whatever you paid. The guys in KISS stand out as persons who'd sell you anything at all. But don't let Paul Stanley and Ace Frehley endorsing the Marauder cause you to think ill of the thing. The Marauder is a great guitar, regardless of what painted weirdo endorses it. The 1970s were a decade where suddenly American made guitars were facing some serious competition for the first time. The Japanese were moving into the guitar market in a big way, and they've never left. Also, in amplified and distorted music genres, the times were changing from heavy blues album rock to thrash punk. The Marauder would make for a fine punk rock guitar today too. The woods used for the bodies of these instruments were not consistent at all. Gibson typically uses mahogany bodies for solid body electric guitars, and they used mahogany bodies for some of the Marauder guitars. The thing is, they also used maple bodies, and alder bodies. Alder is a wood Fender is most associated with. So it isn't really surprising that Gibson would use alder for a guitar which utilized a Fender like bolt on neck construction. What is surprising is they'd use a solid maple body at times. Maple is very heavy, and so the maple bodied Marauders may be something too heavy to stand and play for long periods for some persons. Yet another Fender idea presented itself on the fretboard. The Marauder was offered with a traditional rosewood fretboard, or a maple fretboard. Gibson has warmed to the idea of using maple for fretboards over the years, but it's still not anything close to common for them. The fingerboard positioning markers were also varied for the Marauder. Some had dots, some had trapezoids. The Gibson Marauder's hardware was unlike that of the company's more well known guitars. But just how odd the hardware was on an individual instrument depended upon what year it was produced. 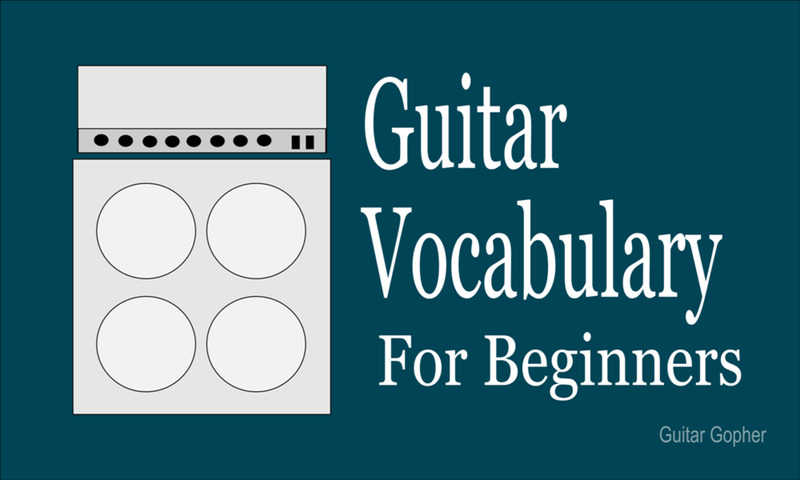 The pickup selector switch was initially the typical toggle, same as found on the Les Paul, the SG, and any number of others. It was just located on the opposite side of the upper bout. Then the toggle was replaced with a rotary 'chicken head' switch. Yes, that is what we often call those style of switches. If you look at the things closely, you can see the chicken head shape. The chicken head rotary switch didn't simply replace the toggle switch. The device underneath changed entirely to that of a potentiometer, allowing for a blending of tones via the switch. The rotary switch and potentiometer first appeared in the Marauder in 1976. You can also see the Schaller bridge used is anything but a typical tune-o-matic. The stop bar tailpiece is the typical kind, but the bridge is a 'harmonica' by Schaller. Why Gibson chose to utilize these isn't exactly clear. There had to be a logical engineering reason for this, however. Perhaps Bill Lawrence preferred the Schaller bridge. Clearly the S-1 is a brother, or at least a cousin to the Marauder. What happened was the Marauder's sales were quite good in its first year of production, and so the next year Gibson released the S-1 with confidence. There can be no doubt the S-1 was meant to take on the Fender Stratocaster. The pickups and circuitry here were again designed by the great Bill Lawrence. 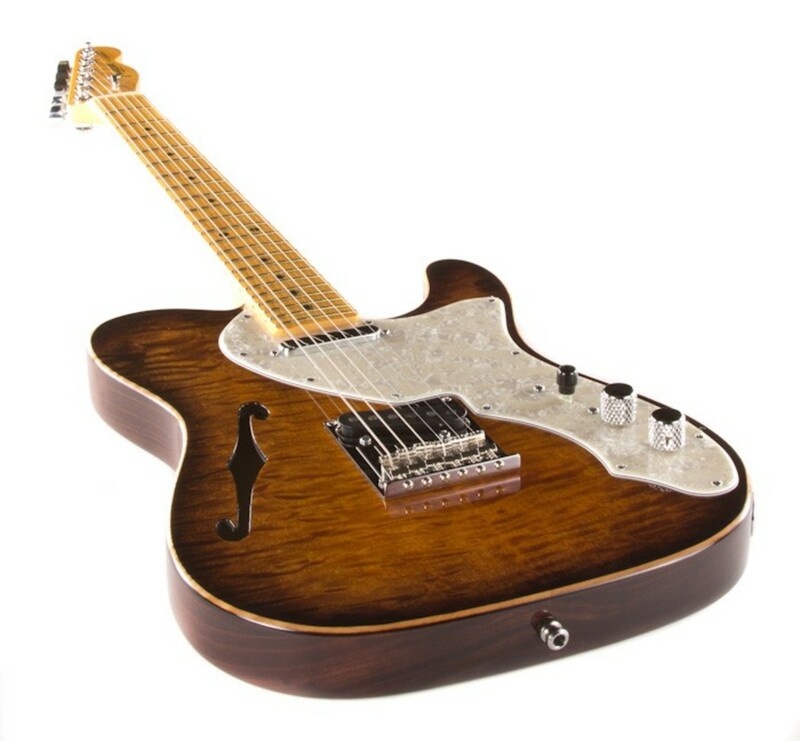 The most of the S-1 guitars were of alder body. Mahogany and maple were both options for bodies though, and there was also an option for a maple fingerboard instead of the standard rosewood. Before the instrument was discontinued, the maple fretboard had become the standard, and rosewood the option. 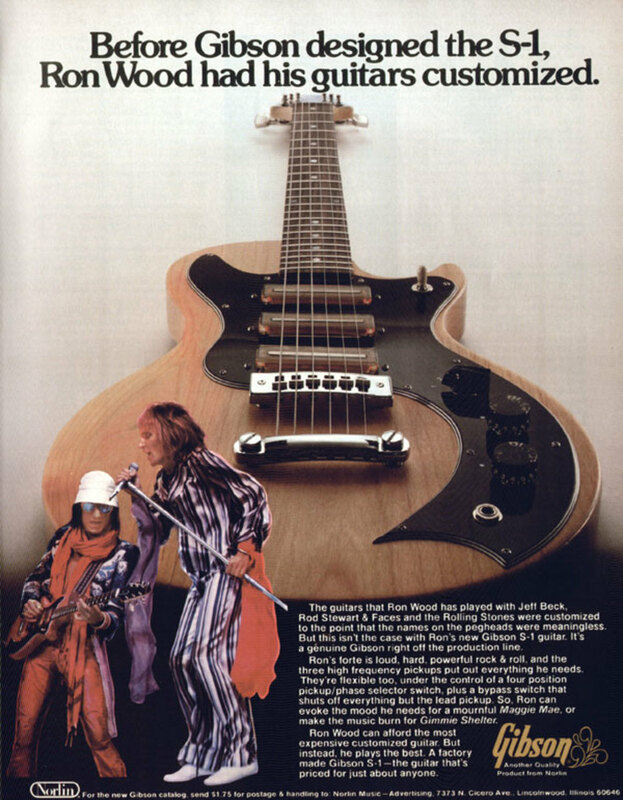 Bill Lawrence designed the circuitry of the Gibson S-1, and this was cutting edge stuff for the mid 1970s. As a matter of fact, the circuitry would be considered every bit as advanced and cool were it in production today. The circuits involved a simple two way switch, and then the infamous chicken head switch. In this case, the chicken head was a 4 way rotary toggle. The 4 way switch allowed for the use of neck + middle pickups, middle pick-up + bridge pick-up, all three together, and lastly, the neck and bridge out of phase. When the simple two way toggle switch was engaged, the rotary switch was bypassed completely; and this allowed for the guitar to emulate the Fender Strat and Tele. Ron Wood, famously a Telecaster guy, endorsed the Gibson S-1. But when you're a famous guitarist, you typically have exactly as many nice guitars as you want to have. Ron Wood wasn't hardly the only guy to dig into the Gibson S-1 though, he wasn't even the only guitarist in The Rolling Stones to play one. Of course Keith Richards spent some time playing the S-1 too. Carlos Santana spent enough time playing one to be closely associated with the instrument. So you'd think the S-1 would still be produced today, but this is not the case at all. Both the Marauder and the S-1 were phased out of production in 1980. What they were replaced with was another thing altogether, and also equally different. Gibson used the design, but replaced the body wood with sawdust, woodchips, and glue. You read that correctly. They called it 'resonwood.' The Gibson Sonex was launched as the Marauder and S-1 were discontinued. So what do these no longer in production and somewhat rare guitars fetch on the market? There are some bargains out there. But the reality is the asking prices for these guitars are pretty dang high. Places like Reverb dot com are where you'll see the most of them, but those people all know they are rare, and examples in good condition are selling for over a thousand dollars. This is why I think the best place to find one is when you're not expecting it, at a flea market, or in someone's garage sale. Best wishes to everyone, and thanks for reading. @Jeff Ballard (& Wes): According to "The Ultimate Gibson Book" by Paul Day & Walter Carter the production of the Gibson S-1 was 3,089 guitars. It's nice to see that you didn't use the old false figure of 1368 that was originally on the Wikipedia. When I read that, I just knew it simply could not be right. I did some research and found out that this figure came from an article that Michael Wright wrote about a RED marauder. All he meant to say was that there were 1368 RED ones. I found the correct data and I corrected the article in the Wikipedia with a link to the source of my data (the very same that you used here). I use the Google cache because the listing has been ended. (he tried several fantasy prices and the guitar was NEVER 25 grand). You'd ask yourself: "Are these guitar really worth 4 grand?" IMHO as INSTRUMENTS they're NOT. Imagine that Paul Stanley broke a guitar on EVERY SHOW and signed a contract with Gibson to do so, like the boxes tell him to. The only thing that is special about 2228 and 2229 is that they weren't broken OR that they got a new neck after they were given to fans backstage. The SHIPPING list we know is about guitar that were SOLD to distributors, it's NOT a PRODUCTION list. I feel pretty safe to say that they sent ±2300 BAD Marauders to Kiss and that there were at least 8,500. 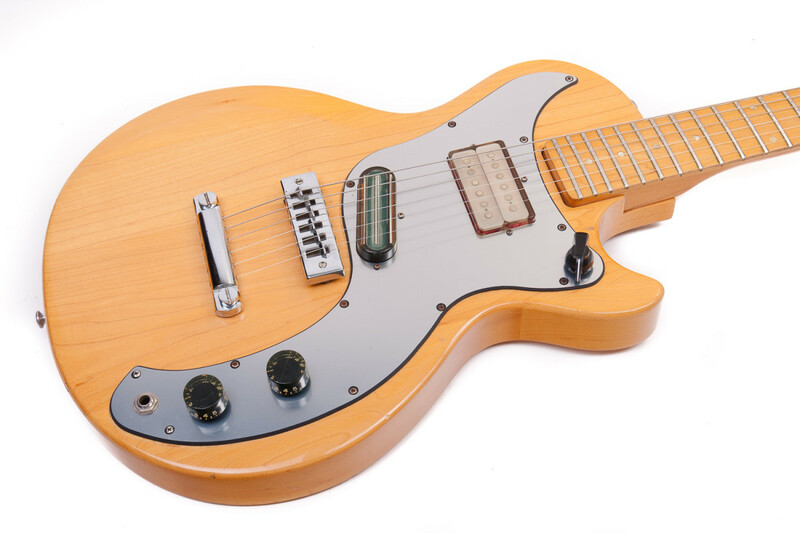 As an owner of a Gibson S-1 and two Marauder replicas from Melody (Italy) and Cimar (by Ibanez Japan) who is still very curious about the blend function on the younger Marauders, I observe the insane asking prices on Reverb, mainly advertised by Japanese collectors who drained the USA during the housing crisis and now 'offer' to give you your old stuff back with a 'little' profit. These guitars were originally cheaper than a Gibson The Paul and for a reason: they were cheap, in every possible way. You can ask something extra for a Custom or a rare color... but a common NT Marauder should be under 800 bucks. It makes absolutely no sense to pay the same amounts as for a Fender Strat Plus or even a Gibson Les Paul Standard (DC or Singlecut). So are the Kiss #2228 or the Kiss # 2229 guitars that SEEM to be SOLD really worth 4 grand? Maybe... for Scott Grove... he LOVES Kiss and has the money to buy any guitar he wants. He has since passed, but Becky still runs to company. The standard flagship single coils are called Keystones, which are highly regarded. I've used his noiseless single coils in my Tele and Strat, as well as his mini humbuckers and noiseless p90 style pickup. Truly great pickups at a great price. Anders, I wish I could help. but I'd be foolish to second guess what the people at Gibson are saying, though they didn't give you a very conclusive answer. How many S1 guitars were produced? You have the breakdown of the Marauder but I would love to know the same info for the S1. Can anybody help me?! I Wonder why it´s so hard to get the exact year for my Gibson Marauder. The number on the guitar is 926744. I have heard that they only make prototypes in 1974. I send a mail to Gibson and they said that they thought it`s from 74. Can anybody help me. If it so, the guitar has to be rather expensive....or ?